Before you decide to keep animals in a residential area, consider the impact they may have on your neighbours. Certain types of animals and birds are not suitable in residential areas, because of the noise or odour they produce, or the vermin they attract. If your neighbours are disturbed, they may lodge noise or nuisance complaints with us. If we find that the complaints are reasonable, we may require the removal of some or all of the animals from your property and any corrective works necessary to stop the nuisance. Choose animals that are quiet and suitable for a residential site. Keep any buildings that house animals clean. This will help reduce the risk of nuisance conditions arising through odour, flies or vermin. Store food so that vermin cannot reach it. If you do notice vermin, you need to remedy the problem immediately by blocking their access and laying bait. Contain animals within your own property to prevent fouling and damage to other properties. Straying or wandering animals may be impounded, resulting in a fine or, if you do not collect them, the sale or destruction of the animal. Contact our Building Department to find out if you require a consent or not for the structure you are putting up. 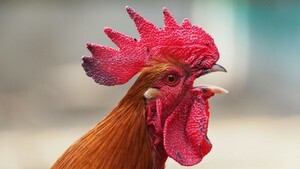 Roosters, Peacocks, Donkeys and Pigs are not permitted under the District Plan in towns and urban areas. Contact our Planning Department for the rules on keeping pets other than cats or dogs.